Welp, we all know we go grocery shopping with platonic guy friends, amirite? 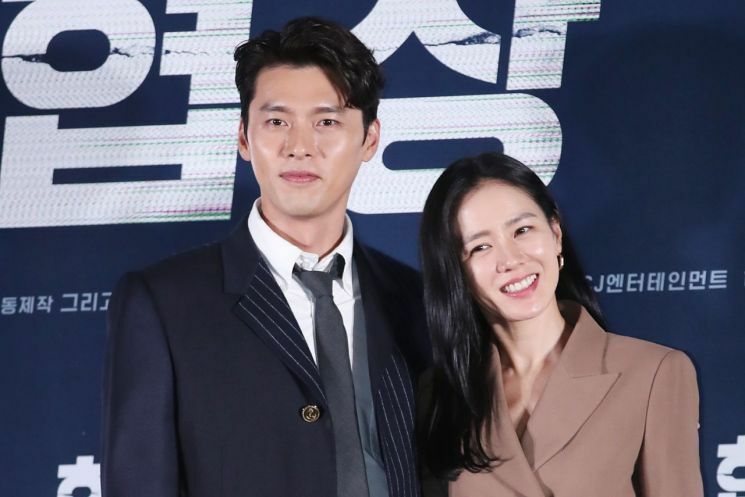 That’s what Hyun Bin and Son Ye Jin want us all to believe this week after pictures of the two grocery shopping in Los Angeles surfaced. This is the second reported sighting of the two in LA following the first report two weeks ago that the two were seen at a golf course dining with her parents. Back then both said it was a coincidence they were in LA, she with her parents and he for work. Now they admit to meeting up because duh pictures but said it was just friends hanging out to prep dinner and there were other friends with them at the grocery store but just not in the pictures. Riiiiiight, methinks these two doth protest too much but hey if they don’t want to admit to dating either because they really are not or they just don’t want to go public fine by me. At least this mystery makes more sense then the entirety of Memories of Alhambra. They are both in their late 30s. Whatever is up with them is their business really. But honestly I have gone on platonic trips with my guy friends or met up with my guy friends when we happen to be in the same place, so its not impossible. Its really common for Koreans especially Korean stars to visit LA either for work for or for family so its completely possible that they are just meeting up while they were both in LA. Who cares ? But from my experience only a new couple does it ! After a few years they try to avoid shopping ! I would be happy if they are indeed dating but not saying that they owe any of us strangers any clarifications for that. But to answer your first question, I am a woman who has many male friends thanks to my engineering major. When we go on trips together, yes we do grocery shopping together. This looks perfectly normal to me for this reason. I know both are celebrities, popular, pretty and make a great pair but it could be that they truly are friends having fun on a trip together while making sure they are not starving and all. And to be honest this would be well received by the general public and has been well received so far that I have seen in other news portals so what is the point in denying anyway. Looks like they are buying lots either for many meals or for lots of guests. LOL. Lol sometimes I wonder if people do know how to observe body language. 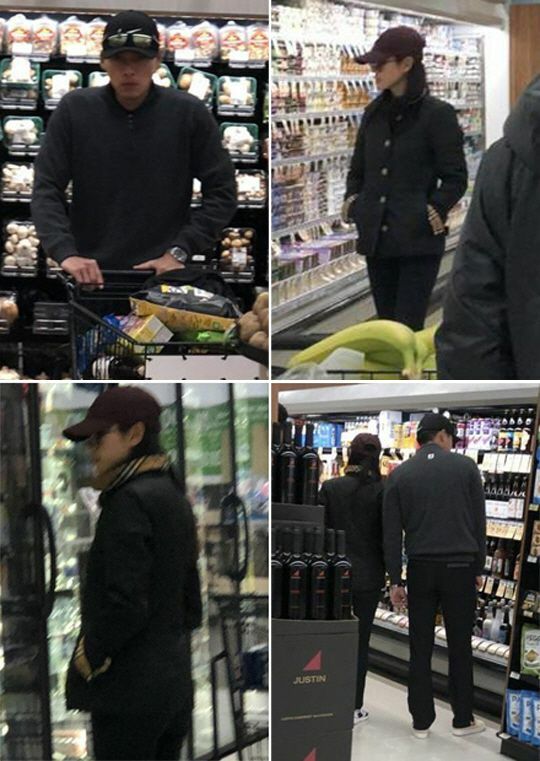 Do those pics look like a photo of a couple grocery shopping? Also have u seen videos of them doing negotiation promo interviews? Both are awkward and hb sometimes looks downright uncomfortable. There’s nothing more than friendly colleagues here. And there could be friends at the grocery store but they were unintentionally left out out of the pics. Apparently they were first taken by a “fan” (who knows this persons real identity,could be a plant from the agencies) and I think any fan is gonna be more concerned with following the stars around than their non celeb friends. Or they were intentionally left out those pics with friends to create a narrative that they seemed to be on a date. This I totally buy because the pics and news appeared on a few Korean sites. I don’t think alot of people know this but Korea has very strict libel and defamation laws. This is not Hollywood paps or TMZ where media can publish or say whatever they want. These Korean sites would have to approach the stars/agencies first before publishing any of the pics or writing up anything that insinuates they are dating. The stars/agencies/media all work together and these things are usually planted by the agencies n celebs as a pr stunt/detract from something (like their first rumor) or for some other motive. They know that people will fall for these sort of news everytime and they are absolutely right. People just believe whatever they read in the media. Every single time. Yeah, I agree. How come I can’t find any past photos in internet of HB going out on dates with Song Hye Kyo and Kang So Ra? You know the ones without masks and sunglasses on. After all their agencies confirmed that they were dating back in 2009 and 2016. If I am a fan who spotted them in public sure will take tons of photos and post it in FB, instagram or sell it to paparazi to make some money. If I want to find photos of Brad Pitt dating Jennifer Aniston before married and divorce, there are tons of pictures of them in the internet. Something very fishy going here. How come I can’t find any past photos in the internet of HB going on dates with SHK and KSR? Exactly! Precisely my point. For years, I’ve looked in Korean forums and things and have never seen a proper photo tbh. Like when he was “dating” ksr and supposedly went to watch a play without masks, “not hiding” etc. Where are the k-netz pics then? Lol. Honestly, I don’t believe hb ever dated either of the women for real, they were both pr stunts. News with shk was released just before Worlds Within Tour, and did drum up a lot of interest. I remember it clearly cos they visited my country and I remembered seeing a video of them at the airport with their teams and they weren’t interacting. At all. Weird? I certainly think so. Apparently they were spotted in cafes (no pics lol) and he was spotted talking a lot on his phone, apparently to shk. How do the media know who is he talking to on his phone unless he tells them? Loll. He also went on varieties/interviews during this time and talked a lot about her lol. Very odd for a very reserved man. This was 2009 and when asked in 2010 about his private life, he suddenly said “I won’t talk about private matters – family, house, girlfriend”. With ksr it was released just in time for his Confidential Assignment movie. Good timing – he wants a new image as an action star and it probably helps to be paired with a young hot thang. Both were similar, his side always does the most – leaking stuff to the media first, then him/his agency giving all those lengthy pr statements “confirming things”. No photos, no sightings, nothing. And then “break up” news ensue a year later. With ksr it was even weirder, him/his agency will agree to answer “qns” about her in an interview but then all his answers are him avoiding the topic. Them meeting cos she was searching for an agency seems to be a lie as she was already co-managed by Will and Plum from before, and her contract with Will ended. But she was still represented by Plum (something they denied at first but turned out to be a lie). Also both women rarely if ever talk about him. I like hb as an actor and person, but I don’t think any celeb is beneath any mediaplay, pr stunts or faking rlshps. For whatever motive. Any publicity is good publicity. Hb strikes me as quite image-conscious, controlling of that image and extremely business-savvy. He knows what people wants and gives it to them, has said as much in some interviews. I also think he’s a very reserved and guarded person and never reveals his real relationships. The one with hwang ji hyun could be real, and I can’t remember the story then, but that was the girl outing their relationship on cyworld. Then again it was ambiguous as she never named him, they were “spotted” at a ski resort but again, no pics rofl. . I honestly won’t be shocked if he bats for the other team. @ Media Observer: are there solid proofs? look at Song-song couple, there were caught so many times before it was announced they would get married. Surly if HJW & HB are in a relationship, they would get caught at least once like on a vacation toge or something! i feel like Sega fans are alwys deluluing about HJW & HB being in a secret relationship, however, HB has been in many public relationships, he & HJW are both very established & at the age to get married, so i think it is a bit silly to say that they may be in a secret relationship for years now…..
@ Media Observer: i think it is quite silly that you are using HB+HJW’s supposed relationship for your “PR class” which sounds very fake imo bc of the topic that was chosen. Either that or you’re one of the delusional SEGA fans trying to push this topic on your poor students! Wow speechless, so Song Hye Kyo is probably desperate enough to go so low with Hyun Bin to get some publicity stunts for herself too. Such a shame on her side to agree to be in a fake relationship with this lowlife to get all them bashing from people and his fans. 🤔 The same for a no name like Kang Sora. K-netizen are maybe too brainwash to be praising Hyun Bin and Song Hye Kyo like two god. I learn something new about how low both actors are. Son Ye-Jin should watch out to because her fans might be disappointed. Hmm well, if you see it from a celebrity/work pov (and not a personal one), it’s not desperate or low.It’s just part of the pr/publicity game that literally every celeb plays, especially the big name ones (or ones that wanna be big names). Syj too as a fellow big name has a reason for participating in these sorts of “news”. Ppl like ksr have more benefits playing this sort of game, cause it keeps her in the news regularly. i remb tons of mediaplay in korea about her and her body right after the “dating news” dropped. for months. they all might be really nice people in real life and not anywhere close to “lowlifes”, but they do have an image/persona to sell. cos it’s an integral part of the job. it’s separate from how they really feel about it. and the public ALWAYS forgets this and mixes up reel with real. that’s why stars have to keep up the illusion all the time. celebs who are very biz/pr savvy and play this game well last a very long time. at the end of the day, it’s just a career/business for them. but it’s always the general public who get duped and stay duped. it’s really sneaky, but the entertainment industry banks (literally) on the fact that people will never question what they read (cos sometimes we dont know better), believe everything they see & fall for their stories hook, line and sinker every time. 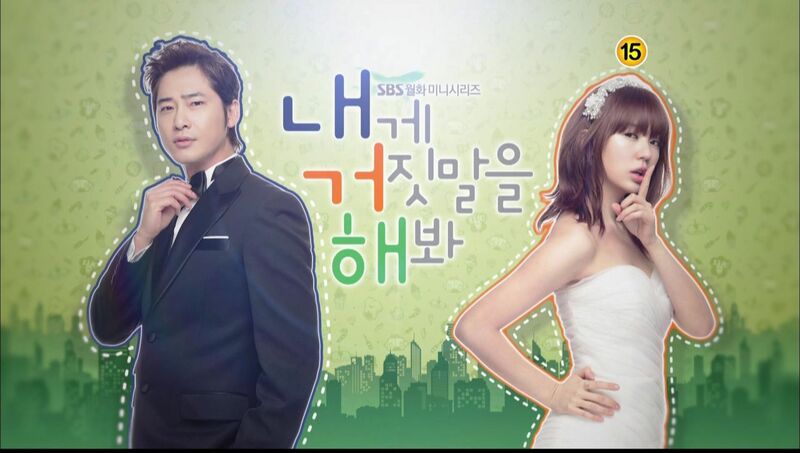 I wouldn’t call Kang Sora a no name since her CF rates are almost the same as Park Shin Hye. She’s one of the highest paid CF stars. @Irene, what you said, do make sense cause I read somewhere that certain actress had to pretend like she was still in a relationship with this popular older actor, while they had already broken up. Also, I have heard Dispatch apparently can’t publish dating news of any famous couple until they have given them the permission? This is why we always see idols being exposed in dispatch or younger actor couples but not famous ones like hyun bin, gong yoo or kang dong won. Also yes, the fact that the news came out right after MOTA’s disastrous ending does make it more suspicious lol. As if they themselves are trying to promote the media play to avert our eyes from that epic failure of the final episode. And the same thing happened last time when the actor from hyun bin’s agency had a scandal. I also don’t see any romantic chemistry between hyun bin and son ye jin, and they don’t seem like they’re into each other. I saw that more in son ye jin and jung hae in, so who knows. Only time can tell. The role of PR is usually ignored by k-netz or i-fans. I personally don’t even consider the personas of celebrities in variety shows or interviews to be entirely true. However, this dating aspect is actually new to me. Because I used to think that dating affects stars negatively so they won’t fake it unless to cover up something. Either that be political or sth related to them. But what you said is plausible. I think Korean celebs have some really good PR, probably one of the best around the world, as they are portrayed as saints and people actually buy that. I admit that hyun bin so charming and handsome he dating hwang ji hyun,song hye kyo,kang sora and son hye jin but he never ever date ha ji won. This time sega shipper move on and I want ha ji won marrying non celebrity husband like choi ji wo😜😜😜😜😛😛. I think it’s only a matter of time before the announcement comes. 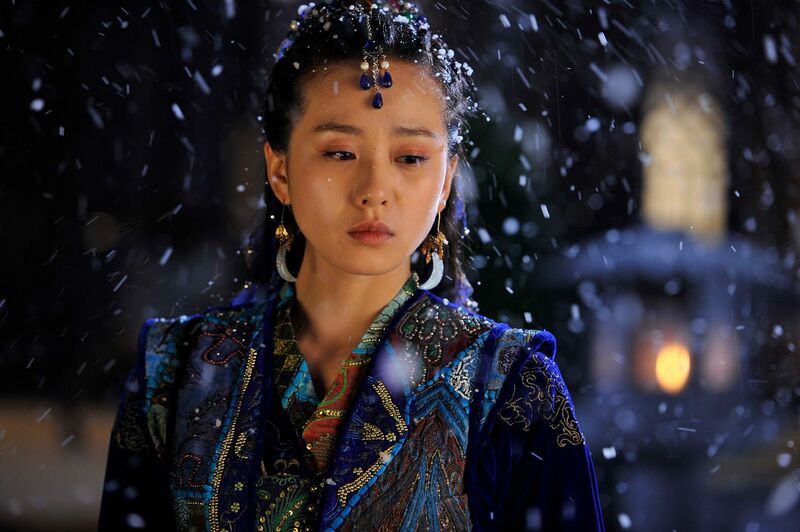 HB did before with Song Hye Kyo and Kang So Ra so why not Son Ye Jin. I must say I am somewhat surprised because long-time fans of Son Ye Jin mentioned that she bats for the other team and she admitted in http://www.asianjunkie.com/2015/05/08 interview that she has homosexual tendencies. If she is into HB, he did a fantastic job in “turning” her. Anyway, being a media student I am highly entertained by the antics of Korean celebrities “dating scandals.” Poor people can’t even date in peace. 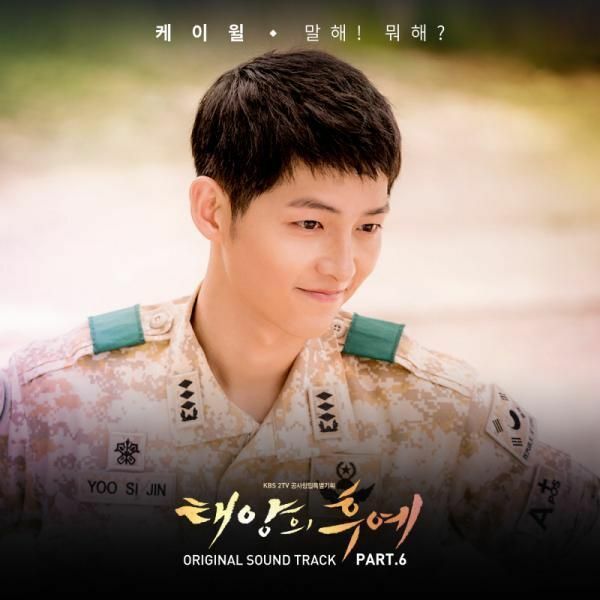 Funny that I can’t find any photos of HB dating Song Hye Kyo and Kang Sora in the internet? Can anyone help me? Bit suspicious now photos of HB and SYJ so readily available and posted just after Memories of Alhambra ended. I’ve been a fan of syj’s (more her acting than personal life) on and off for many years, and yes she’s always had strong rumours of batting for the other team. The interview u linked kinda confirmed it for me. I don’t think anyone’s sexuality can be turned actually. Their first rumor seemed to be put out to detract attention away from HB’s colleague in his agency who was under investigation for sexual assault. And this one right after everyone including knetz complaining about MOA’s crap ending. Syj always has rumours with costars which are always denied. I am also highly amused by Korean entertainment and quite fascinated; as I work in PR. They seem to be following the Hollywood model but adding a huge dose of control and image management. They control things to such an extreme degree it reminds me of hong kong stars hiding decades-long relationships just so it wouldn’t affect their image. I never believe whatever Korean stars or their agencies say. Dig deeper and u always see loopholes and fishy things. @Irene, totally agree w your observations, the dates w shk nd ksr have all been nothing but pr, pr. pr exercise. 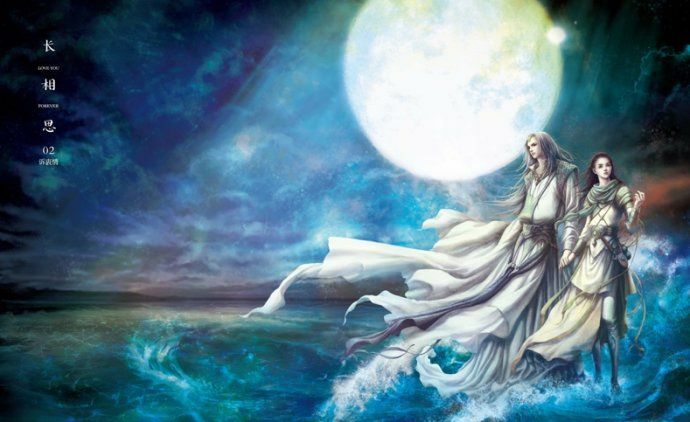 You have summerised the events coherently. I have suspected it all along tt these are all fakes. As for the latest episode – its timing of the photos release that is the giveaway – ie when the negatives have been piling up abt the finals of alhambra. ‘never believe whatever the korean stars …… say’ well said !! Yup I’ve never thought them to be real, and if you can read/type/understand korean and go on the netizen forums, there’s no evidence either. but I guess ppl rather believe the romantic story of two top stars falling in love ha. ksr’s episode was even more obvious idk why nobody called it. it was also released at the same time that the late kim joohyuk’s rlshp was released. and they were both in the same film. coincidence? hmm i dont think so. also note the difference between their reactions. kjh addresses it (at the press con) very naturally whilst hb looked nervous and recited a very commonly used pr statement that k-celebs use for rlshps lol. @Media Veiwer @Irene Wow I would love to read more about Hyun Bin and his cheap way of buying his dating relation. Also you seem to know about him and Ha Ji Won relationship too. Can you share more? I’ve made it quite clear i dont think it’s cheap. it’s business and i’d have done the same as a top celeb. I dont know too much about him and hjw tbh. not a fan of the lady and not a shipper, didnt watch sega and dont plan to etc. the bits ive gathered have always been stuff ive read from netizens (k and intl) and while sometimes I do “see” something (usually from her) that might indicate a potential romance, and i see some similarities with other real-life couples on the down-low, I personally think alot of it are just co-incidences and the product of fans’ projections. Again, I’m not saying there’s something/nothing between the two, I just cant deduce for certain either way and I dont follow hjw/analyse her well enough to make a clear conclusion. 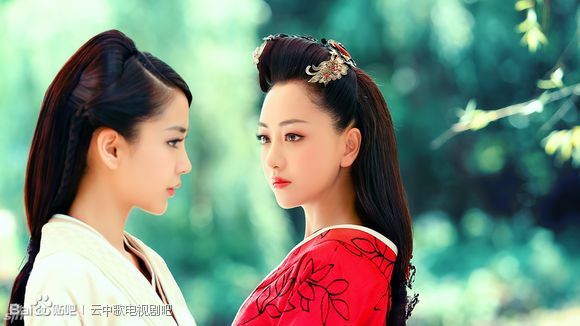 Hi Yensha, I have been analysing HB & HJW connection for sometime now as I used to teach in the department of communication in a private university. I always teach my students who want to work in the PR, journalism, TV broadcasting as presenters, reporters to think critically. Media marketing is the lifeblood if you want to work in the entertainment world. PR work is huge and K celebrities is the top in the game just like the British royal family controlling the image of Prince Harry/Meghan Markle, Prince William, Princess Diana and Prince Charles. Ok, back to HB & HJW. First if you have the time, analyse their Instagram, FB, Twitter all the way back to 2010. They send codes to each other via couple clothing like white and blue. In Memories of Alhambra, HB’s character owned a tech company called J.One same name,grammatical phrasing & spelling as J.One, a skincare product founded by HJW but she’s currently embroiled in a legal battle with the partners over royalties and is no longer endorsing the brand. You can find J.One news in Youtube and Google. Just type J.One Jelly Pack and HJW name together. Why would the writer named the HB’s drama character J.One? She could get sued by the cosmetics company. As Irene said, Korea has strict laws on libel and defamation. Of course HJW gave permission to the writer maybe HB wanted to show his secret love to HJW to promote her company she founded. Second, in Memories of Alhambra wrap up party in Spain, there was a video in HB’s Facebook Fan page that showed him wearing a blue and white t-shirt with the words ICE-CREAM written on the right. The Spanish female fans asked him in Spanish “Are you taken?”, HB’s assistant repeated the word something like togasan togasan and HB laughingly replied ICE-CREAM 2x pointing tho the words on his t-shirts. HJW was wearing blue top and white pants in Korea around the same time in fan meets and brand promotions. HJW’s nickname is guess what? Ice-cream. This is common knowledge if you speak/read Korean. Her die hard fans called her ice-cream /sun shine. In her instagram posts often have 2 butterflies, some in blue colour. She is a very romantic person. The opening sequence of Secret Garden has 2 butterflies representing their characters one blue, one pink. HB became famous in SG coz he wore a sparkling blue track suit. HJW likes to paint butterflies on porcelain, tiles, her work exhibited. Her favourite topics go to space. HJW’s childhood dream is being an astronaut (in her memoir At The Moment), she designed a handbag for Fendi called “You are my universe.” HJW’s agency is called Haewadal meaning Sun and Moon. HB’s agency is called VAST and his fan club is called SPACE. You can find all these in Korean TV interviews. There are tons more clues but I leave it to my students to get the details while I give them the main clues. I always encourage them that real detectives always find the truth if they look close enough and connect all the dots. Yensha, people have short memories but go to Youtube, type Ha Ji Won 1st Asia Fanmeeting in Singapore, Hyun Bin’s congratulatory message and talk. HB recorded a special video for HJW’s fan meet in Singapore Jan 10, 2015. Basically praising HJW as pure, innocent, kind to everyone, shows many colours, a very outstanding actress, etc. The emcee asked HJW “How do you feel watching this video? HJW said thank you and she will treat HB and Lee Seung Gi who also made congrat video to HJW to dinner when she gets back to Korea. At some other time in the video, HJW said she and HB visit each other on their filming sites. The emcee also asked HJW “Do you like HB?” “Did you meet up with HB recently?” HJW laughed and tried to deflect the questions but admitted yes, said “We met up last year (2014).” So good friends, secret lovers or work colleagues, up to you to decide. As of 2015 onwards, both HJW and HB downplayed their connection and keep a very very low profile reg. their private lives like a closed book. However, their Fan Meetings in Asia and FB International Fan pages always have a lot of clues. They still attend each other’s movie premieres. I’m looking forward to seeing the Sega couple wedding bell soon. Just hope it’s not with Son Ye Jin because that’ll be a disgrace. Waiting to see Son Ye Jin significant others soon. I’m praying she’s not into a fake relationship with Hyun Bin because if true I’m already disappointed with Song Hye Kyo. I’ve followed SYJ’s career for years and most of the rumors surrounding her personal life is that she is a lesbian (& no, you can’t turn a person’s sexuality). She’s been protected for a long time because of her top star status and because she’s well-liked. The problem with her orientation is that it was easier for her to hide and not have the public question her when she was younger. The built-in excuse of any young entertainer is that they are concentrating on their career and can’t find time to date. But SYJ is in her late 30s, she’s AAA-list and a top box office star she doesn’t need to “concentrate on her career” and the older she gets the more rumors start to get out in the public space, not just amongst her dedicated fanbase and K film nuts. I don’t know if this is a straight (no pun intended) PR setup or if she did just go on a trip with friends (something that she does a lot) but overzealous fans took photos and posted them as if they’d made a dispatch like dating discovery. I’m leaning towards her probably having another friends’ trip that is being misconstrued, but you never know this could be a good time to float some PR out there to throw people off. I do hope that whatever the reasons behind all this that one day stars as big as SYJ will be able to live whatever life they want without feeling trapped in the closet and either making up some grand romance or marry and have kids even though they are 100% homosexual just to save their careers. 100% homosexual can have kids, just look at some famous Hollywood gay/lesbian couples. Maybe HB and SYJ can move their careers to Hollywood so they can come out of the closet – this will be a big relief on all the speculations circulating for years e.g. among the Segashippers or the Pretty Noona fans. @ Media Observer, I have read this thread a few times and am intrigued at your observations. I know this thread started in January and I am not sure if anyone will read this and answer my questions. I do look for indications of something between HB and HJW. You mentioned that during the wrap I party for MOA in Spain, HB was wearing blue and white shirt with the words Ice Cream on it. I tried to search in the internet and I did come across those pictures of the party but I noticed many others are wearing blue n white tshirt, which looked like their production crew shirt. The words were not Ice Cream. I really hope I am wrong but I am stumped trying to even find the slightest clues. Of all celebrities, I really believe they make a good pair in terms of status and looks, etc. I think that interview could be considered as a coming out, but hey, SYJ could be a bisexual you know. Huh, I just realized that there were no photos of HB on his date with SHK and Kang Sora. So he just admitted dating them without ‘proof’? The article you linked mentioned the lesbian rumor between SYJ-Yuri from many years ago… which is interesting because it recently resurfaced again among SNSD fans. Mainly because in her fan meeting last month, Yuri mentioned that her dream role is Jung Hae-in’s role in Pretty Noona lol. Meanwhile, on a recent award show, SYJ was asked to name a *male* actor she’d like to work with… she unexpectedly answered SNSD Sooyoung (who is Yuri’s bff). It might be nothing, but those got fans talking about the Yuri – SYJ rumor again 8 years after it first comes out. Funny thing is, the old rumor also mentioned that SYJ is in a position to unleash a scandal with a male actor to cover up the gay relationship. Is the timing suspicious? Maybe. But honestly, I won’t be surprised if SYJ-HB is a real deal, they’d make a pretty couple. While SYJ has always been rumored to swing for the other team… but bisexuality exists too. So could it be true that Hyun Bin is gay because tons of people are now claiming that? His relationship with Song Hye Kyo and Kang Sora must be fake to cover up his real sexual orientation after all. Gay or not I’ll still support him all the way. To think about it he really did claim all the dating scandal himself while both actresses said nothing about him. Also no proof or what so ever to support his relationship with SHK and KS. Then it’s all publicity stunts after all. Son Ye Jin is the next one to help cover up for him too then I’m happy that these ladies are very considerate. Or else if he did really date Son Ye Jin, I’ll support all the way. Cute…even if it’s true or not wish Hyun Bin happy always. Son Ye Jin is a gorgeous woman and they match well. Congratulations if true because both are not getting any younger. They’re good actor with great personality also matching too. A beautiful couple, I support all the way. One is super reserved while the other is outgoing so they balance well. They’re very cute together. A pretty couple. Love Hyun Bin much glad he is happy with someone. Waiting to see the woman of his life soon and his dimple family. Must be fun to grocery shop while wearing sunglasses inside lol. Hahaha perfect timing, pictures appeared after MOA ends! Strange that Hyun Bin is denying it. He always admitted when he is dating a fellow actress. Maybe this time he wants to follow SongSong couple, deny till you walk down the aisle! Yeah this guy’s gaining popularity for dating song hye kyo, he getting role in kim eun sook drama after so many failed project in fast. So I feel sad for son hye jin getting involved with this guy’s she better dating non celebrity boyfriend than this fake guys. Cause he thinks being relationship with kang sora or even son hye jin will up his popularity like that’s time he dating song hye kyo. @Irene Lol I just learn that Hyun Bin is the most promoted actor in the industry by all your research. That’s why he has to fake his relationships with Song Hye Kyo and Kang Sora to be on the spotlight. Now that Alhambra is not going well, Son Ye Jin is the next one to help him out with this dating rumors. Maybe that’s why dispatch didn’t bother to follow them because Dispatch know this is a publicity stunts for Hyun Bin. I see dispatch promote Alhambra too on their IG. Hyun Bin must have paid them so much for all his relationships with Song Hye Kyo, Kang Sora, and now Son Ye Jin. Hopefully you can do more detective job among Hyun Bin life. Hyun Bin oh Hyun Bin why? No actor, actress and their agenciies agree to be involved in these media game without getting something out of it. So, it cannot be said its just hb fakes his rlship with shg/ksr. You hve left out the other half of the equation ie shg fakes her rlship with hb and ditto with ksr. It takes two hands to clap. You use me and i use you situation. Not sure if you are sarcastic or not lol. but i think u need to learn to read:) I never said HB is the most promoted actor in the industry. i said there’s a mediaplay going on here. and cos we are talking in the context of hb and syj, so that’s why i’m talking about him lol. dispatch had, has and will always work tog with stars/celebs/agencies to promote certain things; I already mentioned the libel/defamation laws. and yes, they are known to promote dramas, do photoshoots for idol groups at airports and so on. in fact alot of these korean “news” outlets do the same. sports chosun, star one, whatever. that’s their biz model. and that should clue u in on the exact sort of rlshp they have with entertainment cos and celebs. All involved get something out of it. So all parties, not only the guys but also the gals in such rlships are equally ‘cheap’, to put it your way. Its an industry problem as pointed out by irene, read again her response. thank u. nowhere did i say hb was cheap, or these girls are cheap or lowlifes or whatever. gosh. no wonder ppl get hoodwinked all the time. it’s business/career at the end of the day. Would i have done the same thing in their shoes? absolutely yes. Erm those are your words, not mine lol. Don’t try to put words in my mouth. ALL celebs play a sort of media game. ALL. including the ones u ship or whatever. And that’s what i’m talking about here. You don’t have to take my words at face value. I’m just a longtime fan who has done pr in the entertainment field as well. i like the guy, am fascinated with pr in the korean ent world. and just piecing tog infor i know/things ive observed and just throwing it out there using deduction. also if u have the balls, reply to me directly in my comments instead of @ me somewhere else. @Irene in korea dating is equal to scandal korean hates it when their oppa is dating why will shk ksr syj will fake a relationship with him when in korea women get dragged so hard in a public relationship no management of actress will agree in a fake relationship. Only nugus do that. @Irene -Yep you and @Media viewer are definitely on to something about the whole ‘wag the dog’ korean entertainment scene and how so-called breaking dating news manages to just taper off after a day if it’s denied. I’m intrigued with the behind the closed doors of all the hustling going on with media outlets and agencies and what cards are held and played in trade offs for dating/scandel breaking news. However I’m just happy if they’re happy with whoever they choose to be with. Gosh exciting times! @irene, i think youve mistaken my reply to Larana. Yove already clarified your stand on using such a term as ‘lowlife’ for afterall this is an industry problem and the parties might just hve to play along with it. Since Larana comments have put the ‘cheap’ word on hb (a guy) Ive tried to point out tt if his rlship is ‘cheap’, so are those of the other parties’s (gals) as they are collaborators in the whole set-up. My reply was strictly to counter the comment tt seems to imply tt only guys can be ‘cheap’. Note also cheap is in “,,,,”, its a quote from Larana, not from you or from me. This is entertainment. Be happy and be entertained. I don’t think Hyun Bin needs to fake for a relationship in order to keep himself popular. He is handsome and he knows how to act in dramas and movies. His dramas got high viewership rating. I am not a Hyun Bin fan. I am a Son Ye Jin fan. I love Son Ye Jin’s acting. She is a beautiful and fantastic actress. I watched all her drama and movies. If she is a lesbian, it is okay with me. I want her to be happy. If she does not date any man, if is okay. She is a capable professional actress. I will watch her movies and dramas even when she gets old. Koreans love their actresses & actors when they are scandal free i dont buy that pr faking a relationships thing. Because they dont gain anything from that. I thought they were promoting their film. Since Larana comments have put the ‘cheap’ word on hb (a guy) Ive tried to point out tt if his rlship is ‘cheap’, so are those of the other parties’s (gals) as they are collaborators in the whole set-up. My reply was strictly to counter the comment tt seems to implyq tt only guys can be ‘cheap’. Note also cheap is in “,,,,”, its a quote from Larana, not from you or from me. Admitting a relationship is like a suicide note. So why actors would do such a thing? Hyun Bin should have learned from his two past public relationship. Hyun bin has 3 public relationship hwang ji hyun,shk, kang sora. @yensha Agreed though I love Hyun Bin so much I’ll be disappointed too that instead of going public with your girlfriend, you accepted to be in a fake relationship with some other girls for publicity stunts. Especially when you claim to be the most upright man in the industry. What a shame to say if I love her I won’t hide her from the public. If that’s my man, dam he’s done. I don’t tolerate such low pride man as Hyun Bin if I’m his girlfriend. Well good luck too if it’s true he’s with Ha Ji Won all this time. Lol I really hope for Ha Jiwon’s sake she gets to marry Hyun Bin. Her fans are really sounding extra desperate to prove something on this post; maybe they are agitated that Hyun Bin has a dating rumor going on. Sad to hear all kind of sh*ts about Hyun Bin. Maybe Ha Ji Won fans should provide more information about my favorite man. Hope he and Ha Ji Won married soon so he won’t have to do all these embarrassing publicity stunts anymore. 😭 Hope he is happy with Ha Ji Won. I guess people don’t know that Ha Ji Won and Son Ye Jin are close friends so Hyun Bin probably with Ha Ji Won for sure. He’s not lying this time that he and Son Ye Jin are only friends. Ha Ji Won is currently not in Korea so she’s with Hyun Bin. Hyun Bin and Ha Ji Won really knows how to hide their relationship from the public. Now makesense why both Son Ye Jin and Hyun Bin strongly deny the rumors and say they are their with close friends. Excellent observation. HJW’s Instagram just updated today showing her having Korean BBQ meal with LPGA Tour female winner Eun Hee Ji who won the golf tournament in Lake Buena Vista, Florida, USA which ran from Jan 17-20, 2019 Does that make me sound desperate to prove something? HJW, SYJ and HB all still play play in USA? Wah, this is getting more and more juicy man. Very entertaining to my media and PR students coz I assigned them this topic and they all came back to me with different theories, I just report back their assumptions/theories back in this forum. Great work Storm! Keep it up. Oh come on honey, this is 2019 time for sega shipper move on. You need going to holiday and forget about sega shipper forever. It’s not worth to wait. I think they would make a cool couple. She is gorgeous and he is handsome, both good actors.